Argos Home Stainless Steel Box Grater Reduced from £4.99 to £1.99! I just found this great deal. It's reduced from £4.99 to £1.99! You can get it from www.argos.co.uk. 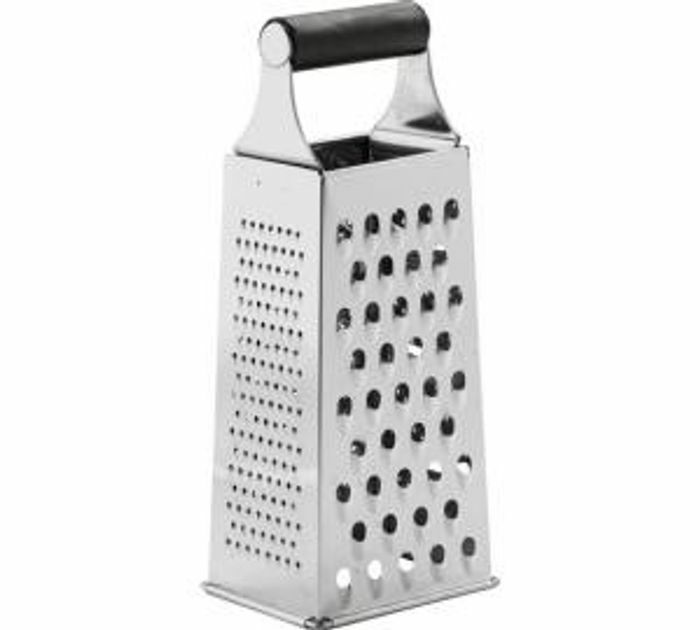 This box grater is ideal for grating vegetables and cheese. Made from stainless steel it is durable and rust resistant. This is a good deal with great price!! Great price, better than those cheap things from the pound shops, they are not even stainless and rust after a few weeks. I like cook. I need this one.